How would you feel if you were called a parasite in a respected scientific journal? If you’re Drs. Erick Turner and Kun-Hsing Yu, the answer is: elated. The two scientists have each received an inaugural Research Parasite award, for which they’re honored in the latest issue of Nature Genetics. Data sharing is not a new idea. Since 2003, the National Institutes of Health has required grantees who receive at least $500,000 per year in funding to share their results. And many journals demand that authors make their data public as a prerequisite of publication, although those polices are often not enforced. This year’s contest generated 41 applications and the group is already accepting applications for 2018. Greene says he’s pleased with the results so far, but he fears that some scientists may be turned off by the satire. “I’d like to transition to the positive framing of the award — awards for rigorous secondary data analysis — and to work harder to encourage members of underrepresented groups to apply,” he said. I've written more comments than most over the years. My first publication was a comment. Much of my research time over the past 6 months has been dominated by this one. And there's been this and this and this and this. Not all are reanalyses of the authors' data but the same jerkish behavior is evident in each. It seems that if something doesn't seem quite right then you should try to point it out. Economists regularly turn to one famous example when making the case for property rights in fisheries: Alaskan halibut. In the early 1990s, the halibut derby was madness. At the approved moment, thousands of boats would race each other out of Alaskan harbors. They would spend a short designated period, just a few days, battling dicey weather in the Gulf of Alaska, dropping as many lines as their crew could handle, and filling their holds to the brim. For those who were successful, this race offered the riches of a gold rush. For those left behind, it was an expensive exercise in sleeplessness and danger. As class after class of natural resource economics students learns, this crazy dash was a classic tragedy of the commons. Fishers competed with each other to secure as much of the catch for themselves as they could. And they were also racing the authorities. As soon as the season’s total allowable catch was reached – often just 24 hours after starting – the fishery was closed to preserve stock for the following year. Starting in 1994, individual rights to specified proportions of the total allowable catch – “catch shares” – were allocated to fishers. The need to race was mitigated. Today the season is a relatively calm, months-long endeavor. 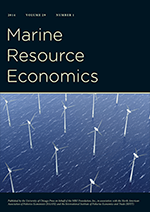 Not surprisingly, given anecdotes like this, economists have long felt themselves on secure ground when advocating for catch shares in fisheries management. Yet despite wide acceptance, the hypothesis that catch shares slow the race to fish has not been systematically tested across fisheries. In a paper published in Nature this week, we attempt to fill that gap. Our analysis is broad and conceptually simple: we consider every U.S. fishery that underwent a transition to catch share management and for which monthly data are available (N=39). Using a difference-in-differences strategy, we compare the season length changes in catch share-treated fisheries to those in hand-matched controls – fisheries that did not undergo catch share implementation at the same time. Many of these catch share fisheries are well known to lovers of American seafood: scallops from the mid-Atlantic, cod from New England, and red snapper from the Gulf of Mexico. Catch share fisheries represent around one third of the total U.S. catch. The overall picture – the average treatment effect – shows that across the U.S. catch shares work as we expect them to. With fewer incentives to race, seasons lengthen. Fishers take around one extra month on average to bring in the harvest. This is good news: Fresh fish becomes available for longer, bad weather is avoided, overinvestment in gear is mitigated, fish stocks are protected, employment is stabilized, and safety improves dramatically. To fisheries economists, the result is not surprising. But for the sake of current policy debates, rigorous evidence that the race slows, in fisheries across the country, is timely. The nation’s primary federal fisheries legislation, The Magnuson-Stevens Fishery Conservation and Management Act, is up for reauthorization. Competing amendments currently before Congress highlight the fact that catch shares are far from broad acceptance. The House’s bill places strong limits on new catch share programs. A competing bill, currently in the Senate, does not. Lawmakers in North Carolina and South Carolina are also moving to restrict new catch shares. While one paper cannot alleviate all the concerns driving these proposed bills, it helps to be able to point to the benefits. For those already well-versed in the tragedy of the commons, more interesting, perhaps, are the exceptions to the expected result: some seasons actually become more compressed post-catch shares. We hypothesize that these effects arise due to substitution of effort within multispecies fisheries. Fishers may speed up catch of minor species to leave time for more careful pursuit of other, higher value species. Pinning this down rigorously is the subject of ongoing work. Another component of ongoing work is the potential effect of catch shares on fishers’ revenues. If the harvest is spread throughout the year, can fishers avoid market gluts, target fresh product markets, and thus get better prices? Frances Homans and James Wilen modeled this more than a decade ago. If broadly supported empirically, it would mean more value from the same fish for communities across the country. So there’s plenty of work left to do on catch shares, and plenty of challenges in their implementation - but the evidence in favor of these policies’ benefits continues to build. Good ol' North Carolina always gets the good national press. Also, see the guest post by David Kaczan, Anna Birkenbach, and Marty Smith. 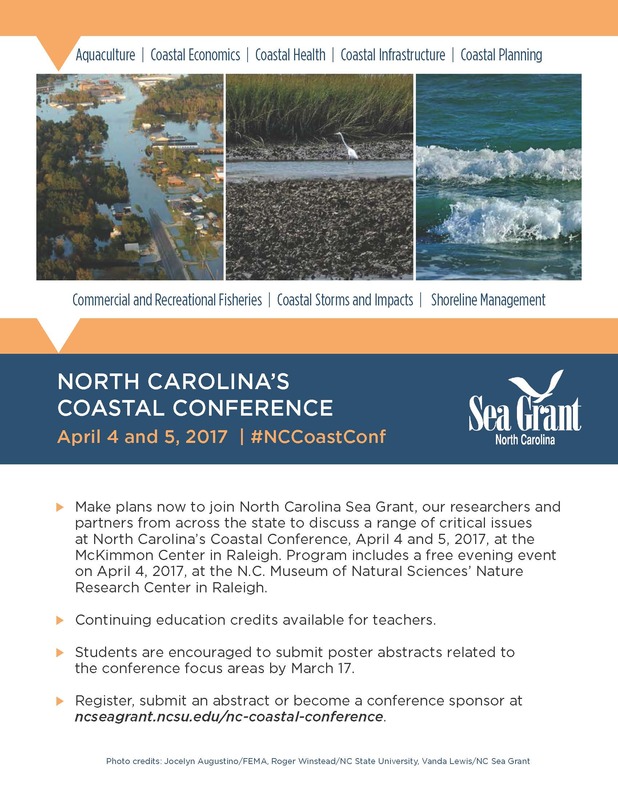 My presentation at the "NC's Coastal Conference"
So, I always make light of the fact that I'm doing coastal and marine research and my affiliation is in the mountains. So, my joke is that I'm from that "prestigious, marine science institution, Appalachian State University." It might receive a bit of a chuckle but I imagine folks give me a pat on the back for the effort at the making of some levity. This time I'm making even more effort. After my introduction with the phrase in quotes I'll then advance to slide 2 and explain that I've never included a visual aid and here it is ... "You can see the marine science institute right on the water on the left." Anyway, here are my slides: Economic Value of Coastal Tourism[*.pdf]. I know this isn't environmental, but it's policy related, and I find the health insurance policy debate interesting, and I think market-based policy can go a long way toward solving environmental issues and health care, and just because it's not environmental hasn't stopped us from posting about it before, and it's my blog and I'll blog if I want to. Let me start by reminding everyone that despite the current administration's hard push to make me liberal, I really want to be conservative (at least economically conservative). For the most part that means I want to let markets do their thing, because I think markets do a lot better job of allocating scarce resources than any person, or government or agency can. But that doesn't mean there is no role for government in a conservative economist's world. Just as the role of a mechanic is to fix an engine when it isn't running properly, a role of the government is to fix a market when it isn't running properly. So how should the government fix health insurance? "RePEc launches Top 5 Journal in Economics"
This problem has become worse, as more and more departments strive for such impossible requirements, in part because they are forced to keep up with requirements in the other sciences of their university, where articles are much shorter and journals publish more frequently, thus making it easier to get top publications. Without intervention, economics may get into the situation of choking itself by making it impossible for most department to grant tenure to faculty. They had me going until the part of about fisheries economics. Any idiot knows that fisheries economics is a joke.